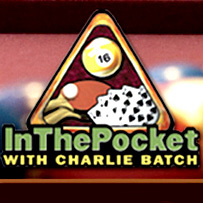 Charlie Batch’s 5th annual In the Pocket event is scheduled for Monday, November 14th from 7:00 p.m to 11:00 p.m. at J. Verno Studios (3030 Jane Street in Pittsburgh). In the Pocket is a fundraising event that gives you the opportunity to play pool, ping-pong, and poker with Charlie Batch, his Steelers teammates, and other Pittsburgh sports stars and celebrities! A list of confirmed Steelers players and celebrities will be available soon. You can check the confirmation page here. You can purchase spectator tickets, player tickets or high roller tickets (and get more information) here. Check out and “Like” Charlie’s Best of the Batch Facebook page for a chance to win two high roller tickets for the event. Proceeds from the evening will benefit the Best of Batch Foundation.